Mayor Peter Christie Monday night asked the City Council in a special meeting to increase the city’s millage rate by one-half mill, to which they voted 4-0 in favor. This will mean a slight increase in your property taxes. The current mill rate is 3.5, and will increase to 4. By state statute, the City Council can raise these mills up to 5 without a vote of the population. There is a separate millage rate in Bella Vista — not part of these 5 mills allowed — that supports police and fire personnel pension funds (.5 mills and 1 mill respectively). This was approved by voters in 2014. A mill is an annual property tax levied on the assessed value of real property. The assessed value is typically one-fifth of the appraised market value. One mill is one-tenth of a cent. Say you live in a $200,000 home. If your home has an assessed value of $40,000, you would pay $40 per one mill per year. Today, the city’s millage rate is a total of 5, including the pension fund millage. So, for a $200,000 home, you currently pay $200 per year. An additional one-half mill levied will be an additional $20 per year. The driver in asking for this increase, Mayor Christie said, is the growth in population — more residential building — which leads to more pressure on existing streets and the city’s police and fire departments. 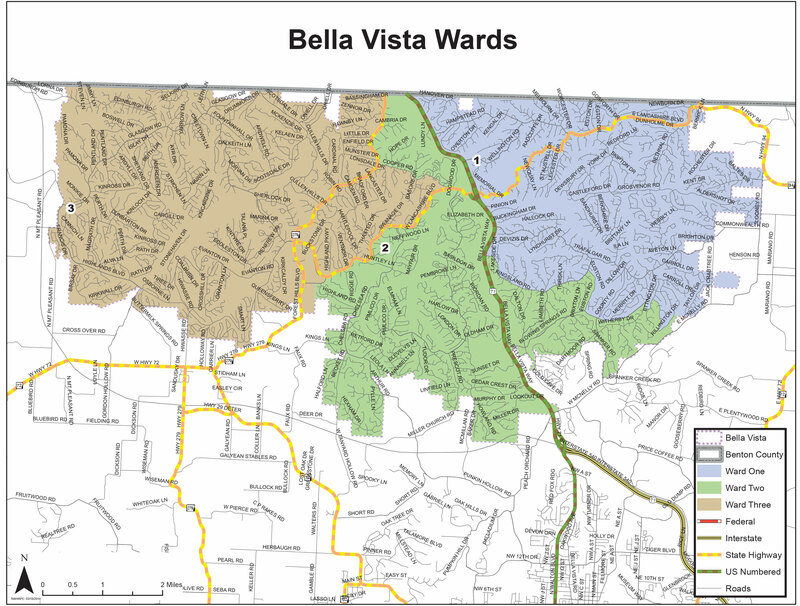 Turnback revenue – property tax collected from the county – is based on the 2010 census which puts Bella Vista at a population of about 26,000. The city is nearing an actual population of 30,000, but those numbers won’t be reflected in the county’s funds, and thus the city’s revenue, until 2021, following the 2020 census. Each October, the city must decide what millage rate will be submitted to Benton County. The county rates are then finalized, and the millage rates are levied on the taxes collected for the previous year. So, when the millage rate is finalized at the end of 2017, that rate will be applied to 2017’s taxes collected in 2018. We are currently in the process of creating the 2018 city budget. We will discuss the budget at a special work session Monday, Nov. 13 and the regular November work session Nov. 20, with hopes the council will approve the final budget at the regular meeting Nov. 27. All of these meetings are open to the public. A work session does not allow for public comment, but that is allowed at the regular meetings. Residents are also encouraged to contact their Council representative with questions, thoughts and ideas. Have questions? Give us a call – 479-876-1255.